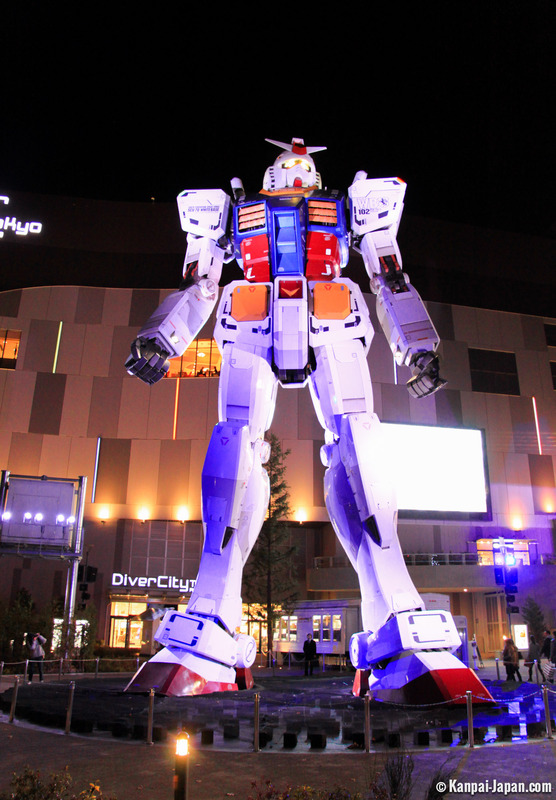 First of all, for those of you who didn't know: Gundam is a very famous Japanese animation series ever since it began in 1979, which features giant "mech(a)" robots. 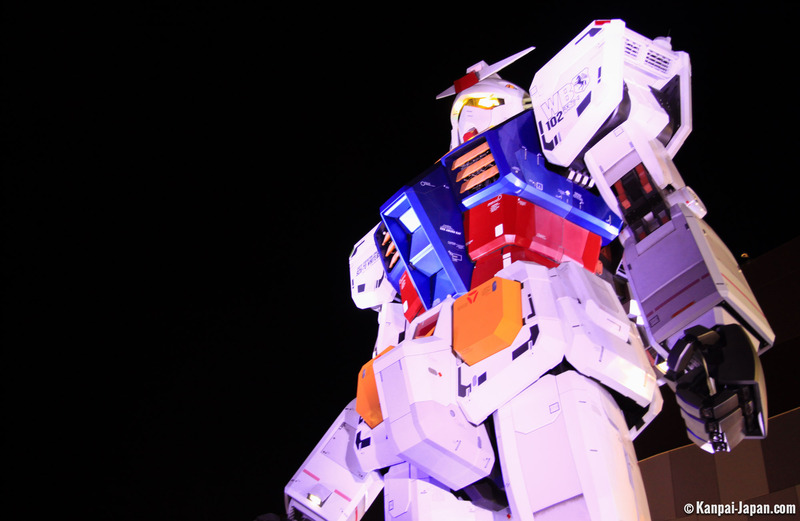 Along with Macross and Evangelion, it is the most representative and successful of the genre. 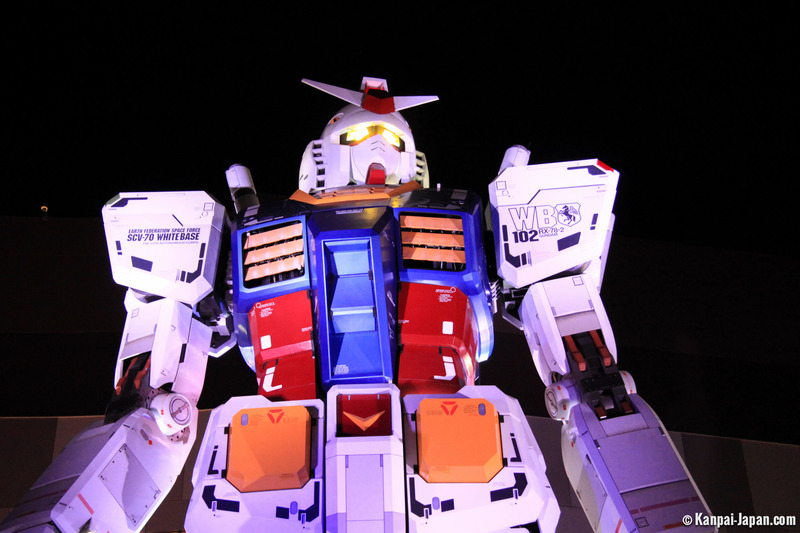 To celebrate the series' 30 years, its publisher Sunrise built a robot to scale (59 feet!) 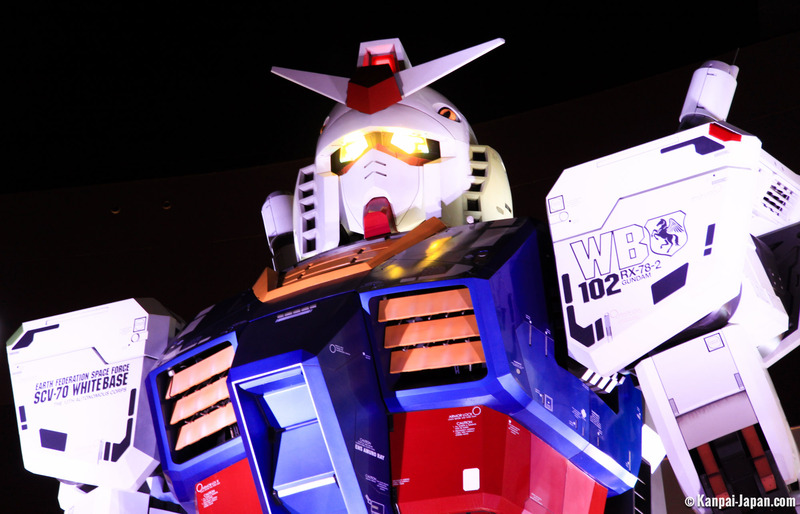 and placed it on the artificial island of Odaiba. 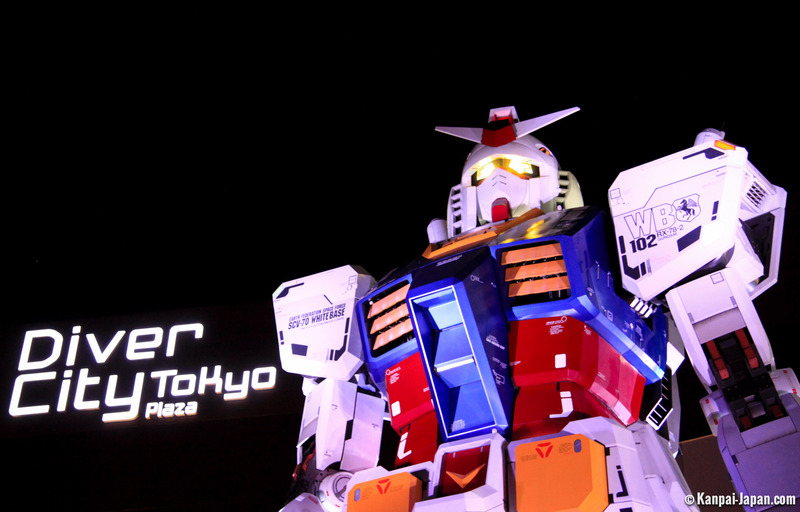 The giant Gundam has proudly protected Tokyo for a few months during the summer of 2009. 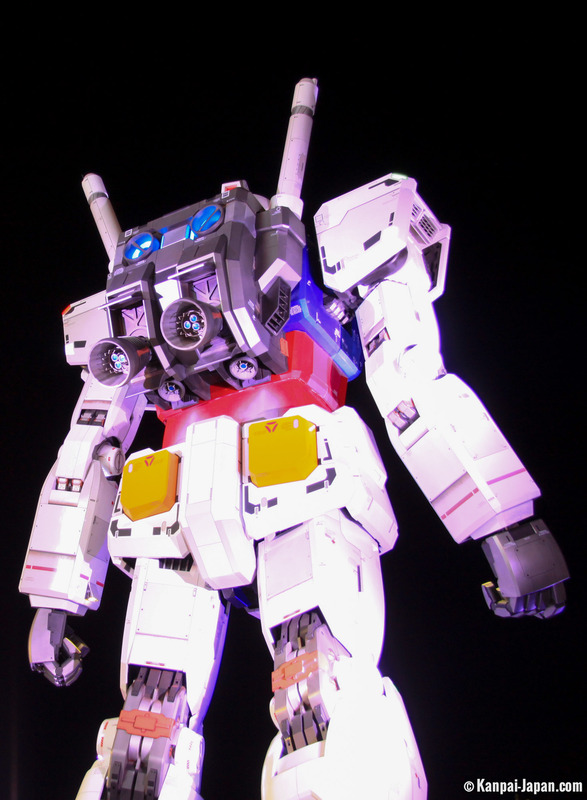 As a temporary attraction, the robot was dismantled in September of that year. 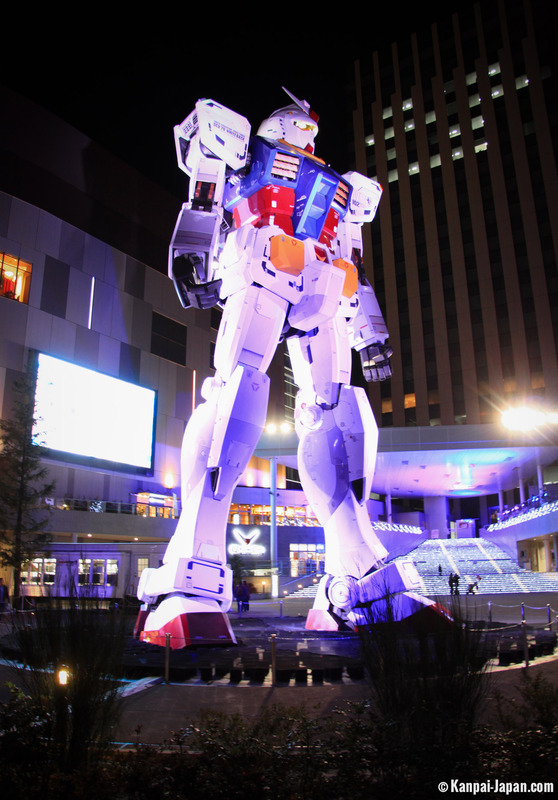 Given the incredible success he had met, it was decided to rebuild it in Shizuoka, between July 2010 and January 2011. Under public pressure, the statue made a final comeback, this time ever lasting, in April 2012. 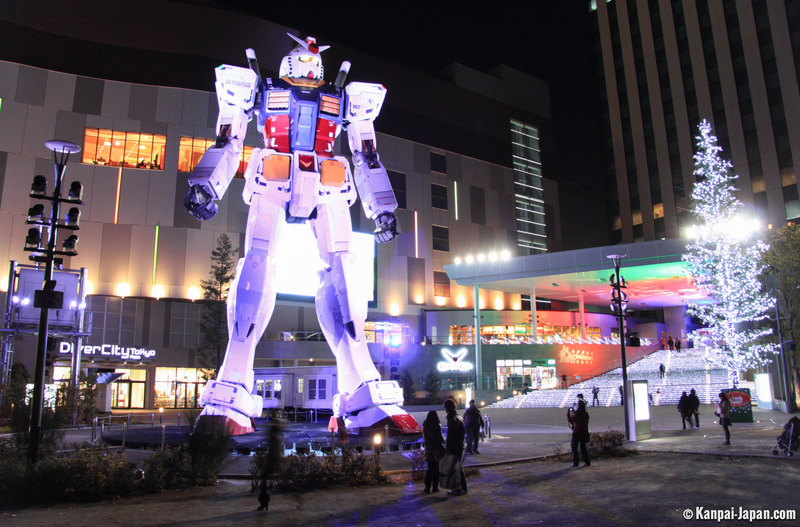 It's now back on Odaiba, in the big shopping center DiverCity's Tokyo Plaza opened for the occasion, as a symbol of its representatives: Gundam Front Tokyo, half amusement park, half goods shop. Note the pun on "Diver City" which is written ダイバーシティ in Japanese, which is a homophone of 台场 island. 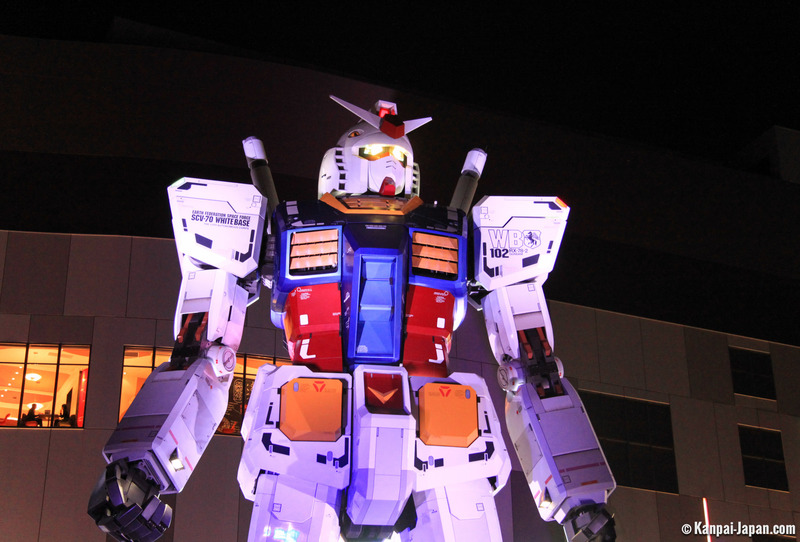 It's now possible to admire the giant Gundam mecha at any time, as an almost surreal and very impressive vision that reminds us once again that Japan is definitely not a country like any other!